Leby A. Miguel has worked as a helper for 3 years. 2016 to 2019 worked in Kuwait, taking care of 1 child age 5 years old. Does all around household chores, cooking, ironing, cleaning and washing. Employer stays in a 3 room flat. Husband is a driver. Father is a farmer and mother is a housewife. She is very keen to work abroad for the sake of making a stable income to support and provide for her family and child's future education. 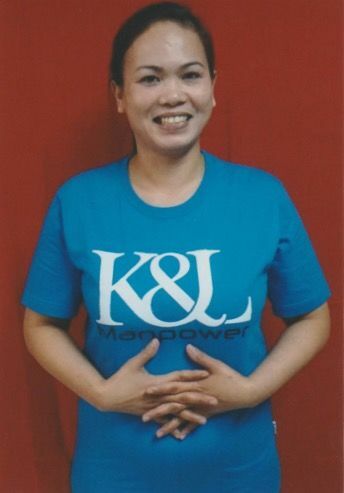 Leby is cheerful, simple mother, hardworking, sincere, patient and is willing to learn. Able to come 3 weeks upon work permit approval.